Akshay Kumar is currently busy promoting his upcoming film Toilet -Ek Prem Katha and the multi-tasker that he is, the actor has now also begun shooting for his next, Gold. The film took off with its first day of shoot yesterday and Akshay made sure to update his fans with a brilliant picture showing us his new look from the film. In a vintage like black and white image, Akshay is seen in a retro look with a thin moustache and a suited up look. The film will be a historical sports drama which will showcase the journey of India winning its 1st gold medal as a free nation in the Olympics, 1948. While talking about the plot details of the film, Reema said that her film will be a fictional take on what actually happened during the 1948 Olympics. It will be a strong drama where the game of hockey will be placed prominently in the plot. Also, there have been reports that TV actress Mouni Roy will be making her Bollywood debut with this film. Gold will be directed by Reema Kagti, who previously helmed Talaash and Honeymoon Travels Pvt. Ltd. It will be produced by Farhan Akhtar and Ritesh Sidhwani under the banner of Excel Entertainment and is set to hit the screens on 15th August, 2018. 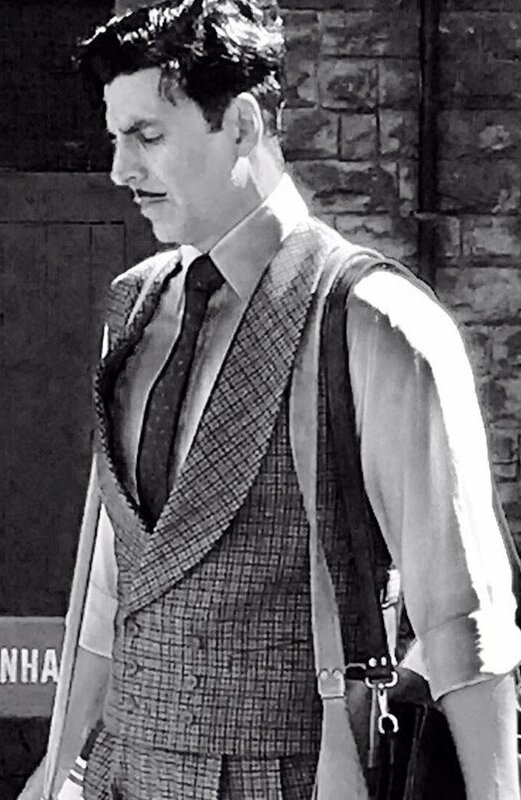 The post Akshay Kumar Goes Vintage For Gold | Shares A Black & White Picture Of His Look! appeared first on Koimoi. Akshay Kumar Celebrates His “Golden” Jubilee With The New Poster Of Gold!